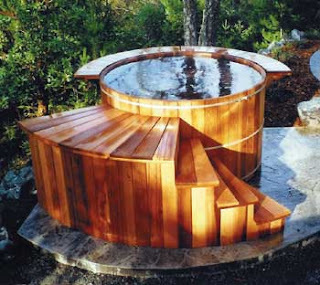 Hot tubs can prove a great addition to your garden, providing a great activity for parties and allowing you to enjoy the pleasure of outdoor bathing all year round! In fact, it's no surprise that around 10% of UK homeowners now own one. 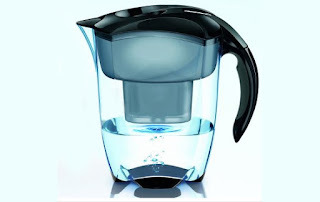 However, what many people don't realise is that without proper management, hot tubs and other household plumbing installations and appliances using water such as showers, storage cisterns in warm roof spaces, whirlpool baths and flexible hosepipe tap connectors, to name a few, can become sources of the bacteria legionella, which can lead to the potentially fatal Legionnaires' Disease. Legionnaires' Disease is an often fatal infection of the lungs, caused by the bacteria legionella pneumonophila. Although commonly found in freshwater sources such as rivers and streams, legionella does not usually pose a contamination risk from these sources due to the special conditions it requires to multiply; readily available nutrients and temperatures of between 20 and 45 degrees. Rather than being passed from person to person, the disease is contracted when water droplets containing the bacteria are inhaled. Due to the vulnerability of their lungs compared to other groups of the population, the elderly, young children and smokers are particularly at risk of infection from legionella. Where am I at risk of Legionnaire's Disease in the home? Legionella bacteria can lie dormant at a temperature below 25oC, however, above this temperature it starts to grow and multiply, until around 60 oC. The bacteria can infect our lungs so it is dangerous as an aerosol, such as a mist or droplets in the air that can be breathed in. This means that the appliances presenting the greatest risk are often those that produce or store water around 40oC. These could include hot tubs, baths, spa and whirlpool baths, showers and cisterns. Scaled up taps and valves along with certain flexible hose materials can present their own risk, creating the perfect habitat for bacteria. What can I do to prevent against the risk of catching Legionnaire's Disease? The most important thing you can do to mitigate against the risk of catching Legionnaires' Disease is to always follow the manufacturer's instructions for whatever installation or appliance you are using, which are written with your health and safety in mind. You should also ensure that your installation is always thoroughly cleaned, maintained and conditioned to help minimise bacteria growth, and consider engaging a Competent Person to undertake a risk assessment of your property. By highlighting any potential sources of legionella risk around your home, the installer will be able to advise you about how to best look after your plumbing system in order to keep yourself and your loved ones safe. I'm a landlord. What action should I take to protect my tenants from Legionnaire's Disease? As a landlord, you have certain obligations to control the risk of legionella bacteria in your rented dwelling. Read this leaflet to learn about your responsibilities to keep your tenants safe from Legionnaire's Disease. So this weekend, why not take some time to ensure that your hot tub remains a safe and fun garden feature by following the above advice? If you'd like to search for a member of the Competent Person Scheme in your area, simply visit http://www.aphc.co.uk/find_an_installer.asp. On cold winter mornings, what could be better than climbing out of bed onto a ready-warmed floor? Underfloor heating systems, which come in electric or hot water versions, allow you to do just that, and have grown greatly in popularity in recent years as an alternative to radiators in many modern homes. However, this luxury heating solution definitely doesn't come cheap, and there are several factors that you should weigh up before reaching a decision on whether underfloor heating is right for you. As plumbing tips are what we do best, this blog post will focus specifically on the hot water type of underfloor heating. Hot water underfloor heating uses a system of connecting pipes laid underneath the floor, joined to a manifold (a system used to connect pipes together). The whole system is also linked up to a thermostat, allowing you to regulate the temperature in the same way that you would your usual central heating system. Due to the underfloor space required to fit this system, it is often easier to install underfloor heating in a new build; in retrofitting situations significant work on the existing floor may have to be undertaken to accommodate this. As well as allowing you to enjoy the comfort of warm floors in winter, underfloor heating can provide an efficient way to heat a room, with heat rising slowly and evenly around the whole room rather in the "hotspots" created by radiators. As heat is mainly concentrated in the lower part of the room, little is wasted and because underfloor heating systems use water at a lower temperature than standard radiators, you may even find that you have reduced water heating costs! As underfloor heating often removes the need for radiators altogether, the extra wall space can be used for something else, and the valves for each room can be situated together in one spot along with the timer controls (just make sure you have somewhere with enough room for these, such as a cupboard). Finally, as the plastic pipes used are normally continuous, there's less chance of you having to pay out for a plumber to come and fix a leak. One of the main disadvantages of underfloor heating is that floors can take longer to heat up than radiators, which are able to reach high temperatures much more quickly. It can be a pricey option, especially if it's going to be used in addition to the existing heating system and smaller systems may not always be able to fully replace radiators. Underfloor heating will also dictate the type of flooring you use. 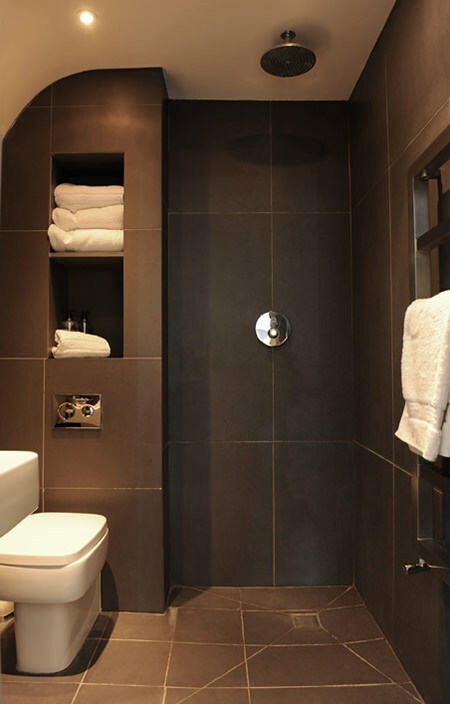 Stone, ceramic, slate and terracotta floorings are good options, however, the heat up time will depend on the thickness of the tiles, with thicker tiles taking longer to reach the optimum temperature. Only carpet with a thermal resistance of 2.5 tog or less is suitable for use with underfloor heating, so remember to check this before purchasing. Timber and laminates or vinyls can also be used, however, as not all will be compatible it's important to check first whether they're recommended for use this way.